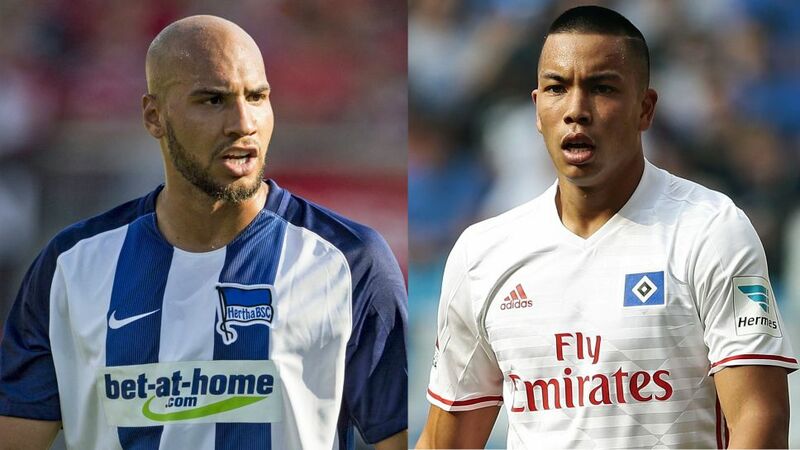 Followers of the USMNT have a star-spangled subplot to look forward to on Saturday as a Hertha Berlin side built on the firm foundation that is John Anthony Brooks entertain a Hamburger SV ensemble spearheaded by Hawaii's finest marksman, Bobby Wood. Click here to bring a taste of the USA to your Official Fantasy Bundesliga team! "Berlin's my home, my entire family live here. It was always a dream of mine to play here. That's why it gives me such pleasure to pull on a Hertha shirt." "I had a good feeling from the start that this is the right step and the right club for me. Everyone knows how difficult HSV have had it in recent years and we haven't exactly made a great start to the new season, but the club has enormous potential. I want to do by bit on this journey and I'll be delighted if I can make progress as a player at the same time." "I already knew Bobby before he played for 1860 Munich. We played together at youth level for the USA. We met for breakfast a few times when he played in Berlin, but obviously he had to train a lot and we had to train even more (laughs). So we didn't see each other much. We haven't been in touch before the game because we're focussing on ourselves, but we'll chat afterwards and then we've got international games together." "We played together a couple of times for the USA youth teams. We've become really good friends in the last year or so. We've met up a couple of times. We haven't always had much time, so we spent more time together on international duty. With DeAndre Yedlin, we called ourselves the three musketeers. We spent all our time together: eating, out on the town, chilling. We'll be flying out on international duty together after the game. It's important that we play well and get something from the game, otherwise it'll be a long flight (laughs)."